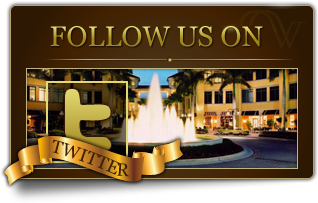 Conveniently situated in the heart of Coral Springs, The Walk is fast becoming the most popular retail / dining destination in South Florida. The Walk is a place where fashion, food, style and life come together in a lush, tropical setting like no other. Brimming with fountains and bustling with activity, The Walk is the ultimate social sanctuary to gather with family and friends to laugh, live and love. 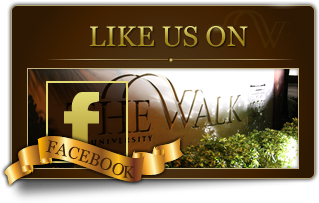 With its distinctive atmosphere and wide range of fine dining and casual fare, it's no wonder that The Walk is a favorite to so many people of all ages. Aside from The Walk's dozens of restaurants and shopping options, there are many other professional services available. Whether you want to get your nails done, your hair colored, or get your legs waxed... you can do it all here. Shop for real estate, get a website built, fill your prescriptions, do some banking or just sit by one of our many fountains and daydream...... the options are endless. The Walk is also ground zero for groundbreaking entertainment. On any given night, visitors can enjoy the live sounds of some of the best local acts in the music industry. 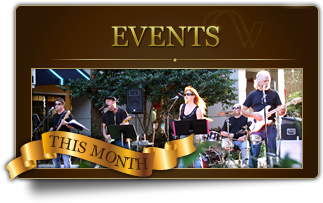 Don't miss "The Walk On Wednesday"... a weekly event of free show-stopping entertainment under the stars. Bring the family. Come and enjoy yourself. Come and walk The Walk!